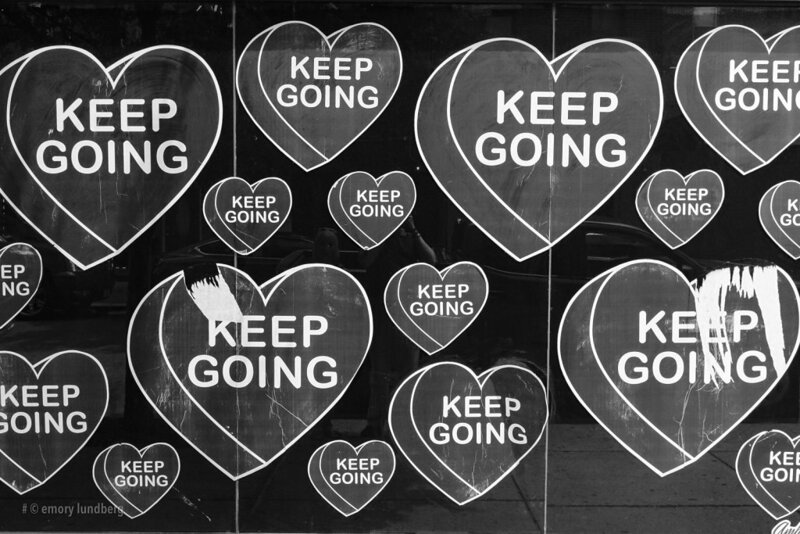 keep going (mono) - @b.e. Fujifilm ACROS camera JPEG. South Philly hearts.